Zara, a popular Spanish clothing and accessories retailer, plans to open a two-story store at Somerset Collection North in Troy by next year’s holiday season. The new location will be the retailer’s first store in Michigan. As one of the largest storefronts at the Somerset Collection, Zara’s 30,000-square-foot store will carry a full line of women’s, men’s, and children’s apparel and accessories, including outerwear, dresses, trousers, skirts, knitwear, T-shirts, gym wear, bags, shoes, and more. Construction on the new location, which will be near Macy’s on the first and second floor, will start in the spring of 2017. Zara is owned by The Inditex Group, one of the world’s largest fashion retail groups. In addition to Zara, Inditex has seven other brands that collectively operate more than 7,000 stores in 93 markets. 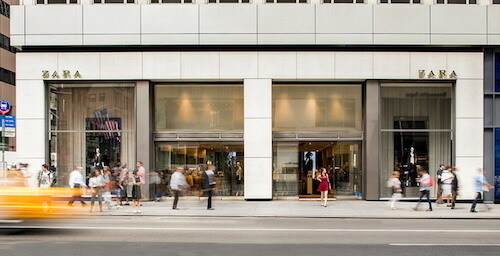 Inditex entered the U.S. in 1989 with Zara, when it opened its first store in New York. Today, Zara operates 75 stores in more than 20 cities in the U.S. and online. Other retailers that have chosen the Somerset Collection as their first location in Michigan include Neiman Marcus, Nordstrom, Gucci, Louis Vuitton, Burberry, Restoration Hardware, and Tiffany and Company. This year, Somerset Collection also became the exclusive Michigan location for Vince and Vineyeard Vines. The Somerset Collection, which is celebrating its 20th anniversary this year, is located on the corner of Big Beaver Road and Coolidge Road. Anchored by Neiman Marcus, Nordstrom, Saks Fifth Avenue, and Macy’s, the center is home to more than 180 stores and restaurants. For more information, visit thesomersetcollection.com.